I believe once we start growing our own vegetables and fruits, it changes our attitude for it and makes us appreciate it even more. Eating carrots we dug out of the ground has a more satisfying taste than eating carrots we purchase. Keeping the garden weed free and maintained is quite important when we have a vegetable garden, which can become a task, but once we appreciate it has a leisure activity it becomes fun. Grow Vegetables by Alan Buckingham gives details that are helpful when planning to plant, so we can avoid problems and be able to identify the reasons for issues such as pest that might arise. 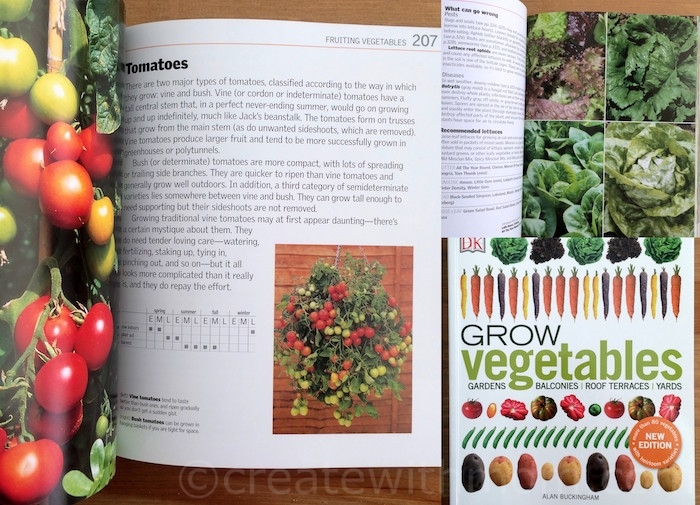 There are more than 80 vegetables explained this book, which will be useful when planning to grow vegetables in our yard, balconies or roof terraces. We like that this books is detailed and includes pictures so we know what to look for. Write Your Own Book by Jacqueline Harris has tips, creative writing ideas, story starters, and more. This book helps children to get inspired to write as it has leading and thinking questions to frame fairy tales, write descriptive stories, persuasive stories, postcards and letters, as well as tips to edit their writing. 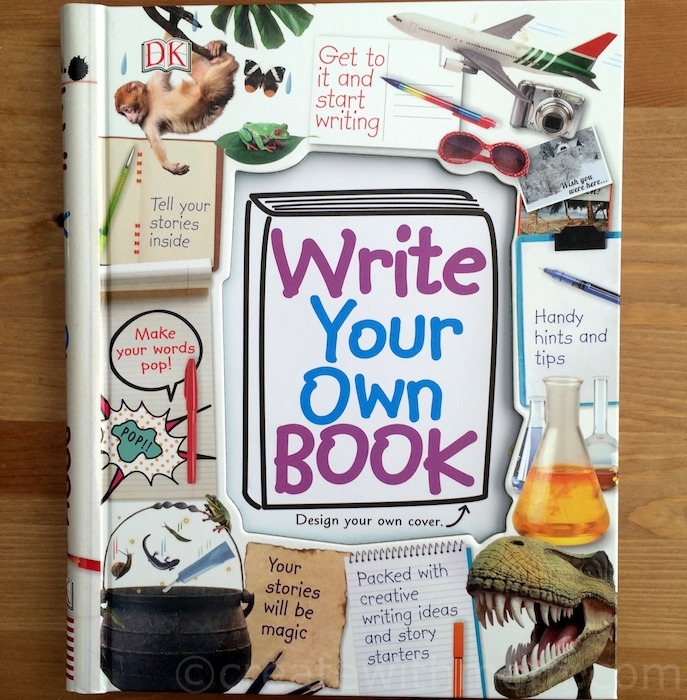 This book allows children to think creatively and express themselves to write stories. During the summer, I also like to take time to sew. Sew Happy by Karin Ziegler is an inspiring book for those who enjoy sewing. There are 25 simple sewing projects to give our wardrobe a makeover, whether we want to create a new piece or customize and revitalize our favorite skirt or sweater or sew hairband accessories to shirts with appliqués and pockets. I like the visual step-by-step instructions, which allows us to make each project achievable. There are patterns included in the back of the book for the projects that require them. Ziegler's tips on how to shop for tools, fabrics, and patterns, as well as her use of colors, designs, and decorative detail are inspiring for us to try our own styles. 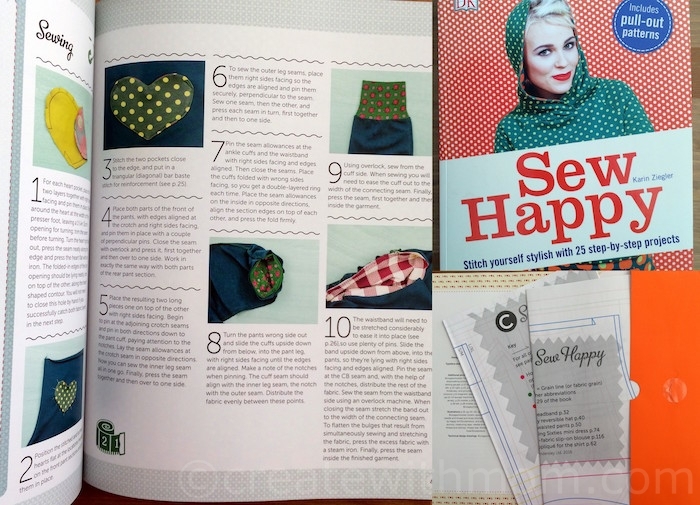 I am looking forward to try a few of the projects from Sew Happy. There are other inspiring books such as these at DK's Summer Boutique to keep us engaged during the summer holidays. I liked your Few Books to Keep Us Engaged This Summer post. DK has a lot of great books that everyone can enjoy. DK has some great books! !